luciollle® is a brand and a company created by Isabelle Coudere and Tanguy Pay. luciollle is a belgian company. All luciollle products are designed, produced and assembled in Belgium. Each component of luciollle luminaires comes from the European market (EU). Ce travail fait de chaque luminaire un produit unique, authentique et organique. Discover the luciollle concept. Would you like to know more about luciollle? 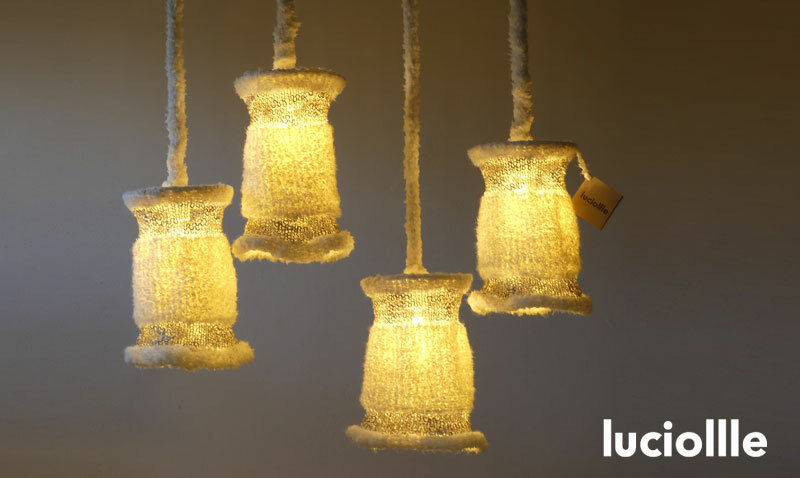 The luciollle® brand and the manufacturing process of the worked wire shades (knitted mesh for lampshape) were the subject of a trademark registration. No one may use this name or process for his own account, without the express consent of luciollle.